Checking in with a quick weekend update! 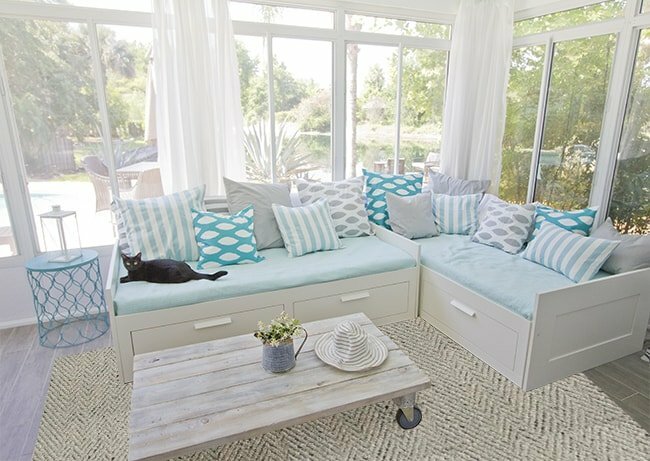 Truth be told, our sunroom has been rugless ever since. But the total came to $170 shipped for a 5×7, which isn’t the cheapest solution. I was mesmerized. And at the time it was 35% off with free shipping for a total of $145 shipped (after you entered the coupon code). I think either would have been a perfectly acceptable solution, but I was still drawn to the charcoal. 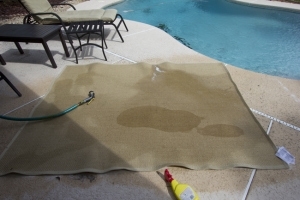 $90 for $235 worth of rug? Count me in. With my Upromise cash back program it was technically only $85. 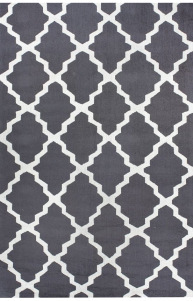 Then when I went to purchase the rug, I found out the price had dropped even further, making my total exactly $235. $0. Scoooooooore. The only stipulation—it’s on backorder for another month. But I figure we’ve waited this long already, so what’s another month? I’m anxiously awaiting its arrival. Well, sort of. 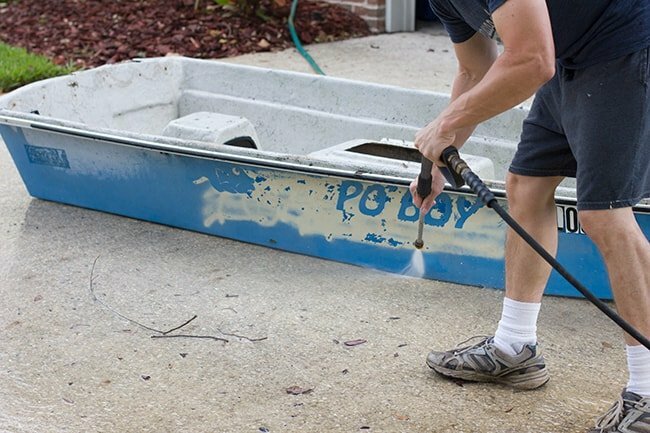 Brad’s coworker’s mom happens to be our neighbor and had an old paddle boat stored away in her garage that she was willing to donate to us. 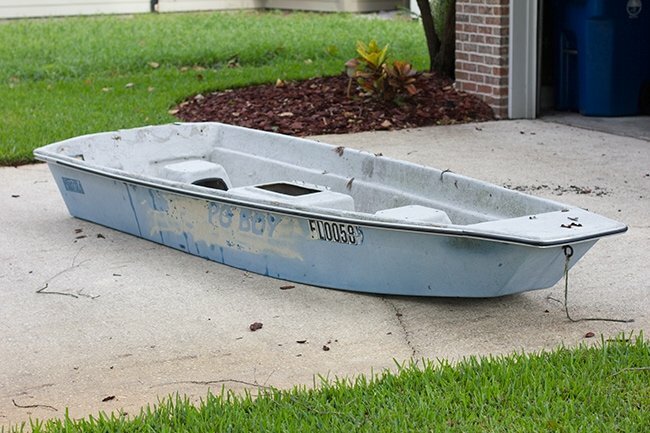 Yay, a free boat…. It was in pretty bad shape, and first had to be pressurewashed…. We then had to spend over $100 on seats and miscellaneous hardware to dock it. It’s also leaking so we have to fix that next. 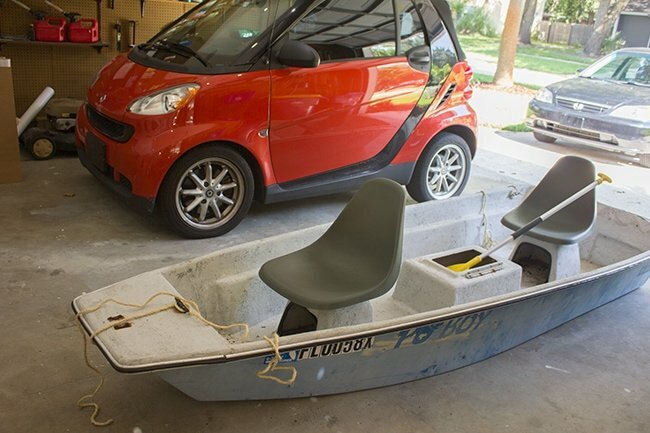 And so the perils of boat ownership begin… I am not thrilled with this scenario but I can’t deny Brad his toys. Our smart car makes it look like a beast, ha. Currently the boat is lying upside down against the fence. We’ll see if it ever even gets used again… sigh. And finally, I am excited to start on a new project that has been bugging me for a while. The dining nook. There were a couple spots where the paint had chipped and I tried to fill it in with the new can of paint but it didn’t match (remember when I had to repaint the foyer because of this? Yep, same thing here). 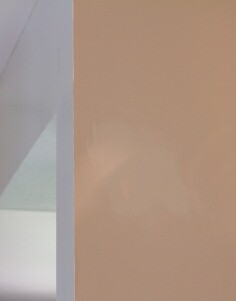 See the color difference where I painted over a patch? Not going to fly. This time around though, I wanted to spruce it up. 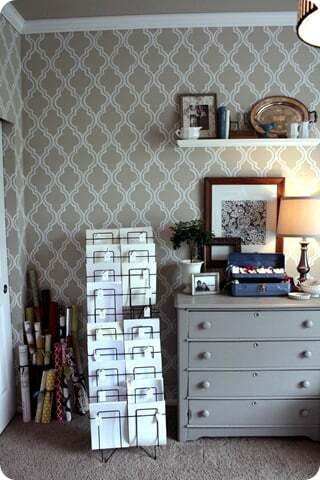 I’ve been eyeing wallpaper/stencils for many months but never figured out a good area to try it out in, and this seemed like the perfect space for my first attempt. 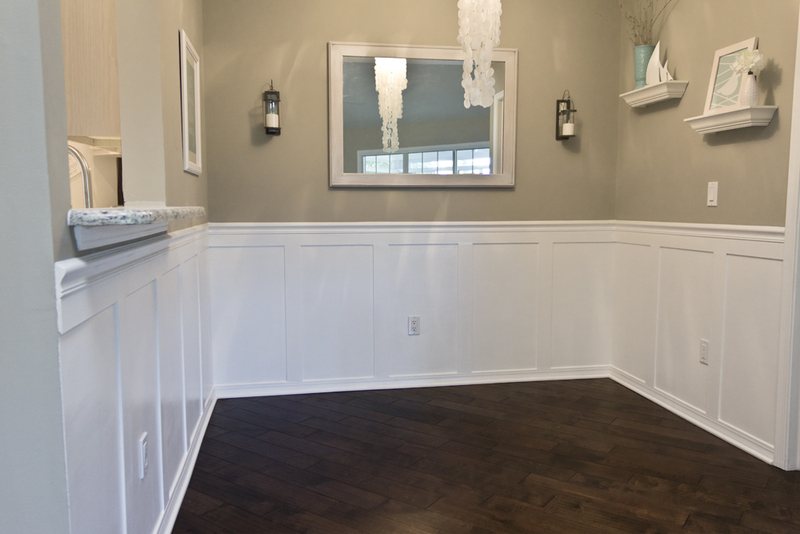 I loved the simplicity and elegance (and of course the fact that it kinda matches my new sunroom rug). It comes with the ceiling and single piece, which I thought was necessary. 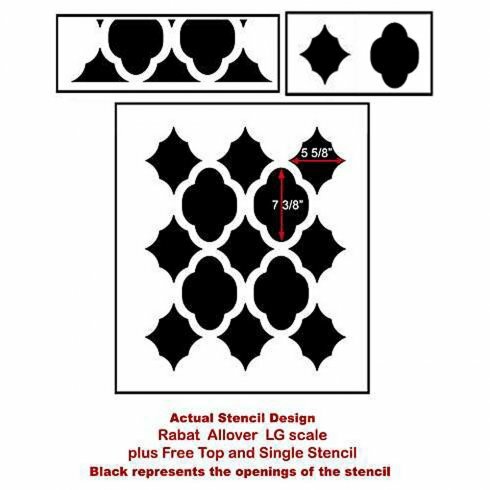 I purchased from cuttingedgestencils.com, and found a 20% off code (no longer active) which brought my total to around $40 shipped. Yes, I could have DIY’d, but I think that would have been a nightmare. I don’t trust myself to freehand something of this caliber and have it turn out the same. $40 is worth it! Especially since I can re-use it in my next house. 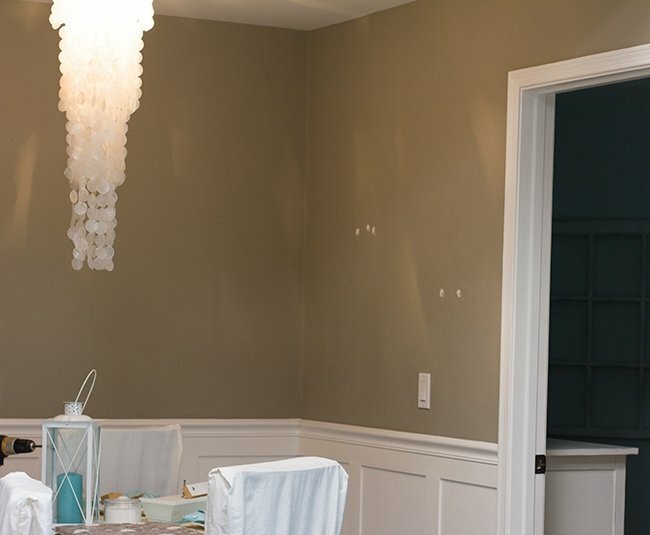 The one somewhat annoying part about this type of stencil is that your current wall color will be the line color, and you’ll essentially have to repaint most of the walls again. I wanted my background color to be what it currently was with white lines, so I had to repaint everything white first. The good thing about this is that no one will notice if the area where the lines are painted is 100% coated in paint. 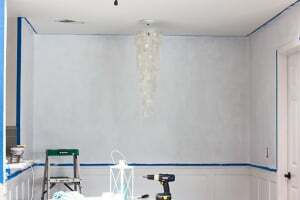 You can see I have some minor patchy areas where the paint didn’t completely cover, but once the main color goes up you won’t be able to tell. But you can’t even tell from a distance. 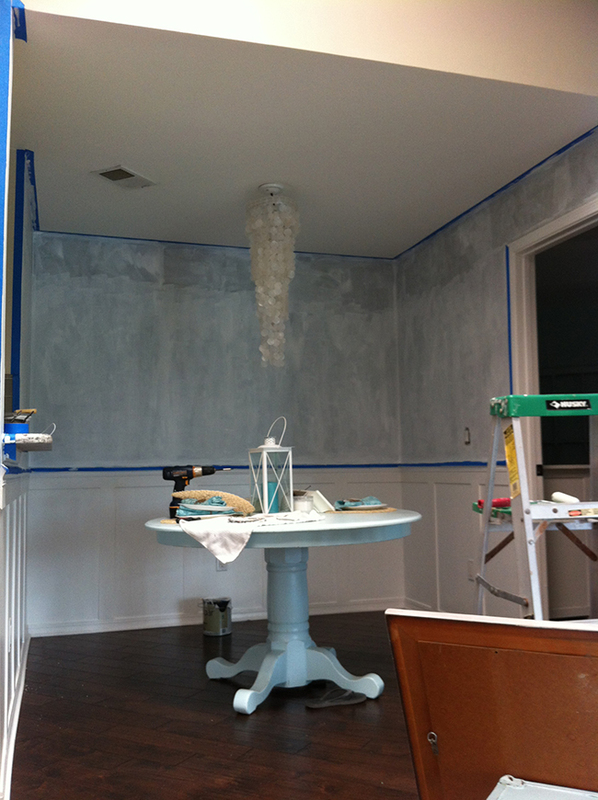 I’m hoping my dining room will have a similar look once its finished. I think it will be a fun change to our currently plain-walled home. The stencil should be arriving within the next few days so hopefully I’ll have a weekend update with the results. This Martini sign caught my eye while on Pinterest and sparked some ideas. I’ve also discovered a new technique for DIY sign-making, so I’m super excited about this next project. Be back next time with some dining room progress! Wow, lots of goodie projects around the home front. 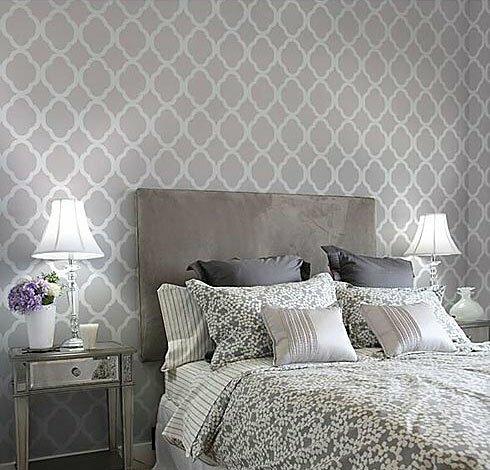 Looking forward to seeing how your stencil walls turn out. 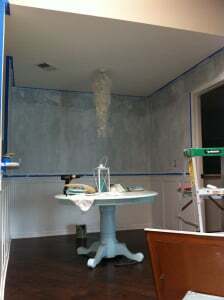 Oh I can't wait, its going to look amazing! I am jealous (or envious rather) that you found such an amazing rug deal, I have been looking for the better part of a year for a dining room rug and have come up with nothing. The living room is looking bright and fantastic but the first image with old carpet was looking better than the second one with new carpet. You've been busy. 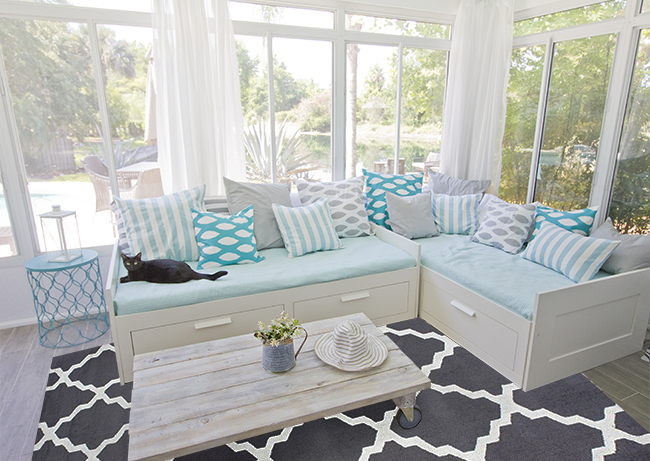 I also got in on the rugs USA groupon and picked up a Chevron rug, that I love…can't wait to see the stenciled DR. Stencils are so cool, I used the stencil from Cutting Edge stencils for my built ins, tedious, but so easy to do. Hi JS, just wondering how did you get two coupon codes working with RugsUSA? About the rug I LOVE the charcoal one. 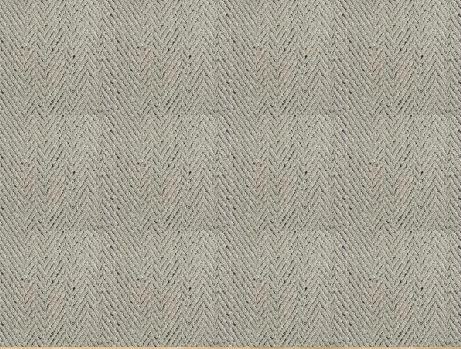 I wish I could find such nice patterned rugs also in here. I think it fits greatly with the rest of the room. 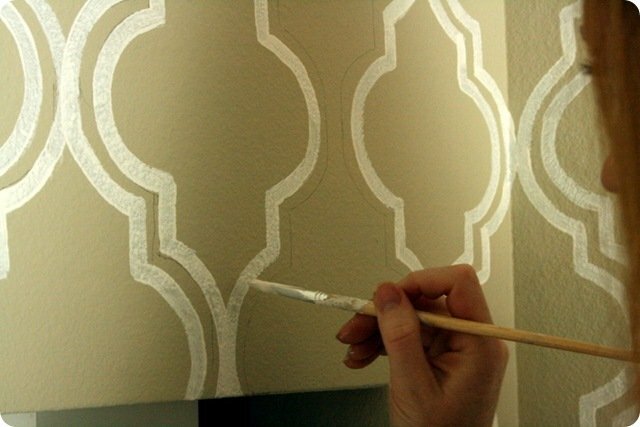 About the pattern, go for it, stencils are very cool and really can do a difference!! I only used the Groupon—the sale price was prediscounted. I would be interested in the new sign technique that you spoke about. I went to pinterest but didn't seem to find a link to the new technique…. I'm confused as to the pricing on your rug. First, it was $145 (including shipping). Then when you went back to buy it, it “dropped” to $235? Did you purchase other items at the end? I'm new to your blog (found it through YHL), and have enjoyed the posts I've managed to read so far! Sorry, that is really confusing. I should have clarified. The $145 price was with the 35% off coupon code they were running at the time. You can only use one coupon at a time so I used my Groupon instead, which meant I only paid $90 (the price of the groupon). Ah! I understand now. Thanks for the clarification, I love that rug! I bought that same charcoal rug earlier this year and I love it! Here are some photos of it in our mancave: http://oakdaleonward.com/2012/08/22/now-you-see-it-now-you-dont/ It's held up really nicely so far! You are so creative with your DIY things. Hand painting on your wall turned out great!